Some companies feel comfortable producing their own photo shoots. Others look to their ad agencies to handle it. Which should you choose? Check out what went into our last shoot, and decide for yourself. 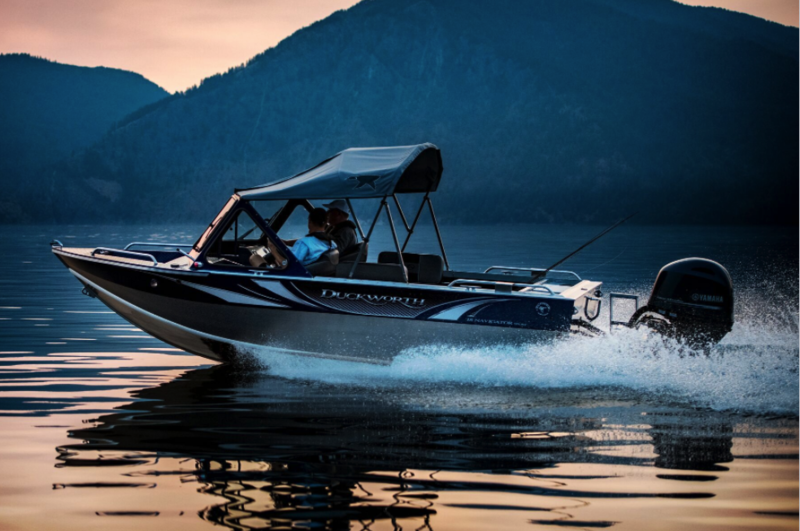 Last month, we produced a photo shoot for one of Brand Director Alex Brauer’s longtime clients, Renaissance Marine Group. 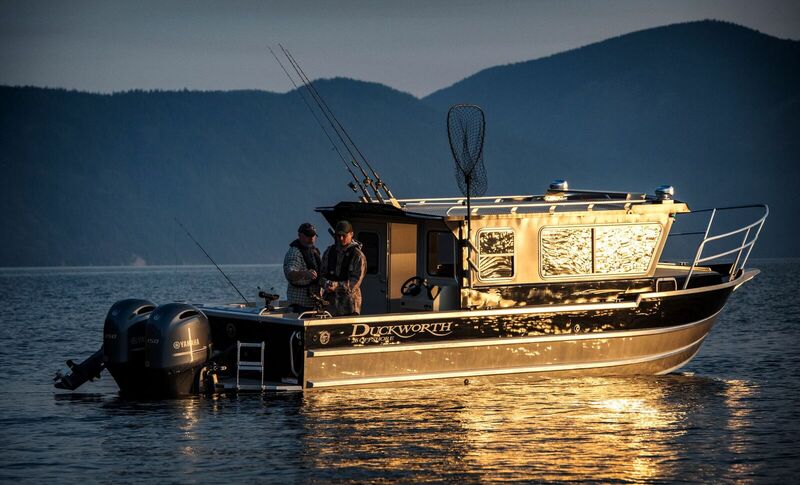 One of RMG’s brands, Duckworth aluminum boats, needed photography for their 2018 model rollout. To those of us who have never had to produce a boat photo shoot, this sounds like a fun trip. Take a boat. Go to beautiful Lake Pend Orielle in Northern Idaho. Photograph the boat in the pretty sun. Photograph it running. Go home. This is why some of us will never produce a photo shoot. 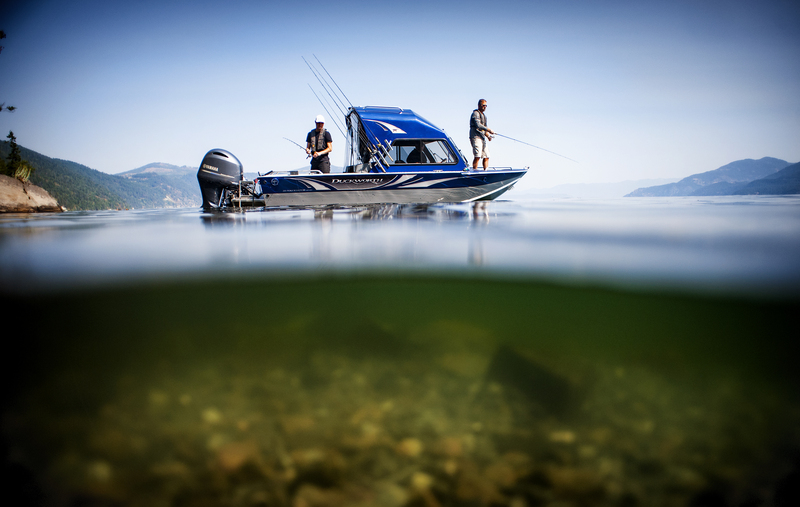 A fishing boat photo shoot has its own set of challenges. You have to figure out how to get the boats to the location. You need models and fishing equipment and craft services, all of which need to be floating. And you don’t just need boats to photograph—you need boats from which to photograph the boats. That’s a lot of boats, people. And these are fishing boats, so you need to show people fishing. Ever tried to schedule catching a fish? They’re oddly unresponsive to a call sheet. 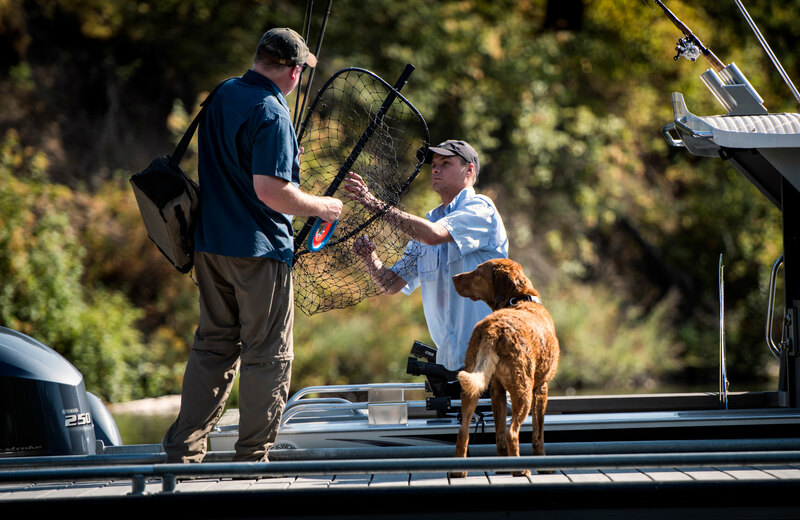 For this shoot, we had to book a fishing guide to help the models catch fish—thankfully, we found one who had just purchased a Duckworth and was quite happy with it. The right photographer makes all the difference. We hired an amazing outdoor photographer, Jessica Haydahl, who brought her underwater camera setup to get shots of the fish being caught. This one’s from the perspective of the fish. “The fact that we were able to line up five logistics—three of which we had no control over—is what resulted in some of the best shots we’ve ever gotten,” Alex Brauer said of the shoot. Those five logistics? 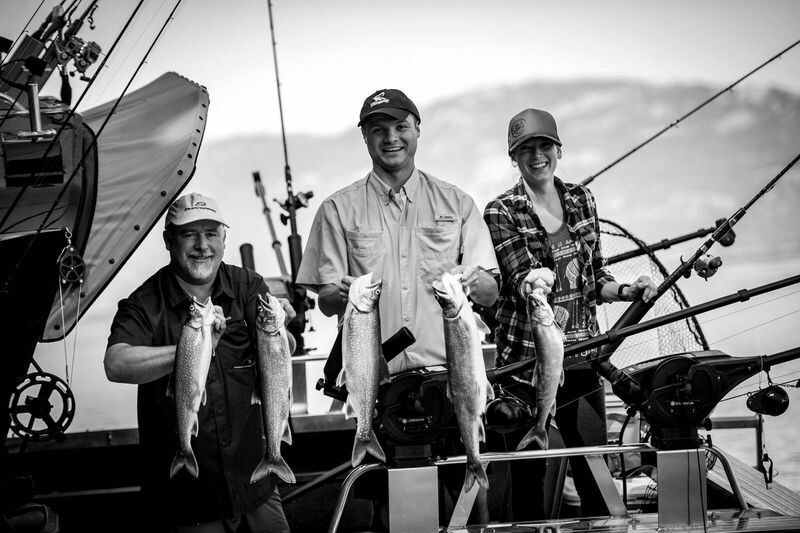 Location, hiring the right people (those were the two we could control), lighting, the weather and fish who were willing to cooperate. Project Manager Brit Allison was worried about one more thing they had no control over. And those running photos of boats that look so cool? Not the easiest thing to grab. And speaking of balancing acts, in order to get a drone shot, Allison had to launch a drone from her boat, have the camera person fly it, and then Brauer had to catch it from his boat. These are just a few details from what are often thousands involved in getting one series of stellar shots. But in the end, it’s more than worth it. This year, Duckworth will have some of their best product shots ever. If you’re considering a photo shoot, ask yourself if you have the resources to get it all done – producers, project managers, production assistants, oh – and of course, a dog. We don’t make a move without ’em.